Every time I walk into this building I’m amazed by the architecture and all the natural light the architect has allowed flowing through. Thus, it’s an apt place to hold a fashion design exhibition supporting different style designers that are all made in Canada. Welcome to the fall Inland show. 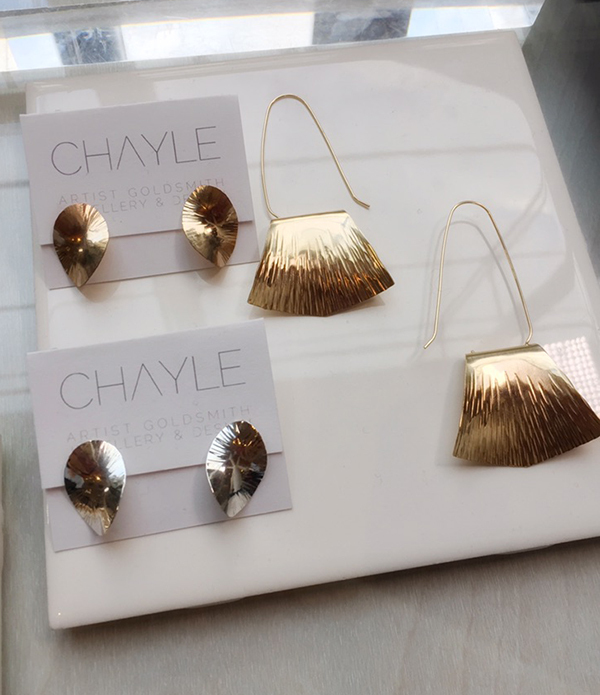 I’m a fan of anything shiny, which is why Chayle’s booth caught my eye. What originally looked like jewellery made from foil was actually silver and gold hammered pieces. 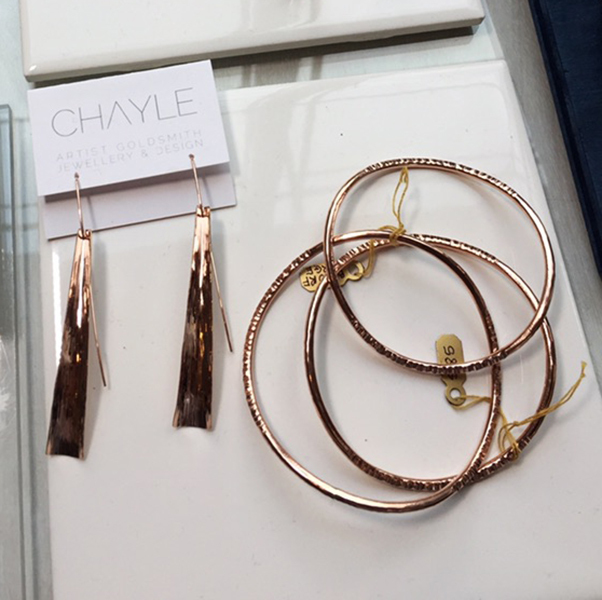 Each piece is carefully designed and constructed in Ottawa by Chayle and her team. She has a strong commitment to ethically source her materials. The silver and gold are refined from recycled sources, all the gemstones are acquired through fair trade practices and she only uses Canadian diamonds. When asked about the unique shape of the Infinity studs and how the two earrings do not match. She mentioned that they are in fact mirror reflections of each other. Which I would imagine is quite difficult to create since each piece is handmade and individually hammered. The shape of the Infinity bangles is according to the shape of our wrists. How the bones in our wrists are shaped is taken into account when creating the shape of the bangles. The wrist and the bangle should flow in tune so the piece is easy to wear and blends seamlessly into an overall look. Inland is a great platform to see a variety of jewellery designs, as you can also gather from my previous review. There were numerous designers showcasing very simple jewellery with clean lines but at the same venue, they also had designers bringing rustic and vintage jewellery to the forefront. Artifacts, as the name suggests is a cultivation of traditional materials combined and formed to create wearable earrings, necklaces and bracelets. I love minimal pieces if the outfit calls for it but I also really like colourful and textured jewellery. I don’t believe we should be bogged down with only one style but play around and have fun. We’re diving into fall weather which means lots of layering and the chance to play with warm toned clothing. That being said, Alora’s brand allows you to layer up on arm candy to pull off the boho chic style. I talked about multi-purpose jewellery in my Etsy show review and now the same can be seen in shoes and purses. Tanya Heath and a team made up of 14 engineers, shoe technicians, designers and boot makers have created the world’s first adjustable height shoe with interchangeable heels. Like what is that? Well, in case you wished you had one shoe for the office and after work still have the stamina to mingle with people, you can switch a stiletto into a block heel. I have the video to prove it! Towards the back of the hall, I found Kelly wearing a black pantsuit and what could’ve been a bag. Actually, it was a bag just that the seams were not done up. 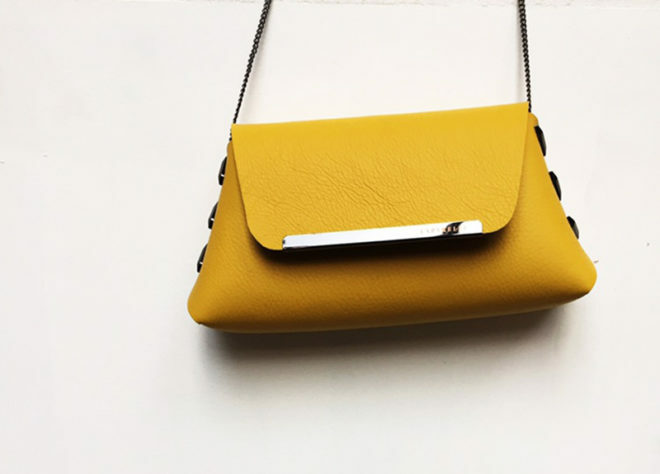 Her brand, Laparelle, sells quality leather purses combining style and purpose to create something super unique. As you can see the right side’s seam is undone. 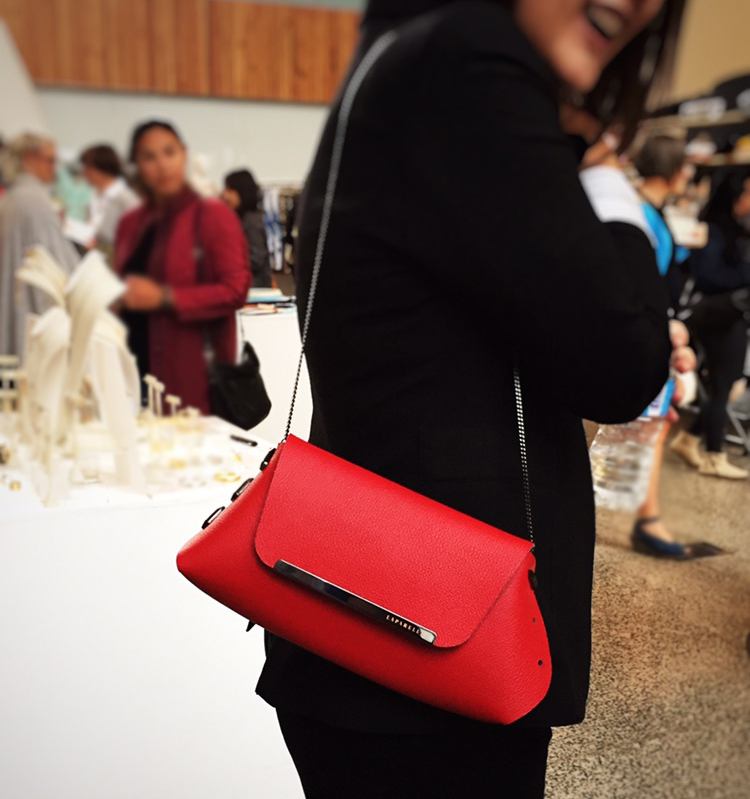 All the purses are reversible to offer the customer twice the amount of usability. Kate Spade offers something similar where you can buy flaps to give your bag a different look. Laparelle offers this all in one bag! 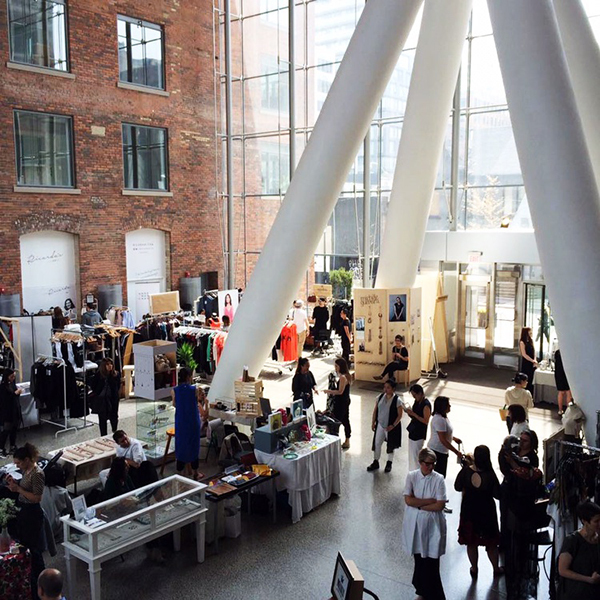 I hope you enjoyed reading about the Inland show as well as being introduced to a few amazing Canadian designers. What exhibitions have you visited this year? Wow, all of the jewelry looks so unique. I love the idea of a reversible bag! Yes, that’s what makes these shows so much fun – discovering inventive products. I love those necklaces! A reversible bag sounds so cool! 2 in 1 – can’t go wrong with that.